The San Bernardino County Fire Protection District reorganized in July 2008 and created the North Desert Regional Service Zone. The North Desert Regional Service Zone is a component unit of the San Bernardino County Fire Protection District, in which the County Board of Supervisors is the board of directors of the district. Within the North Desert Regional Service Zone, Service Zone FP-1 Red Mountain was authorized by the Board of Supervisors in December 1964 (originally under CSA 30 Zone FP-1) along with a special tax. Service Zone FP-1 provides fire protection services to the community of Red Mountain. 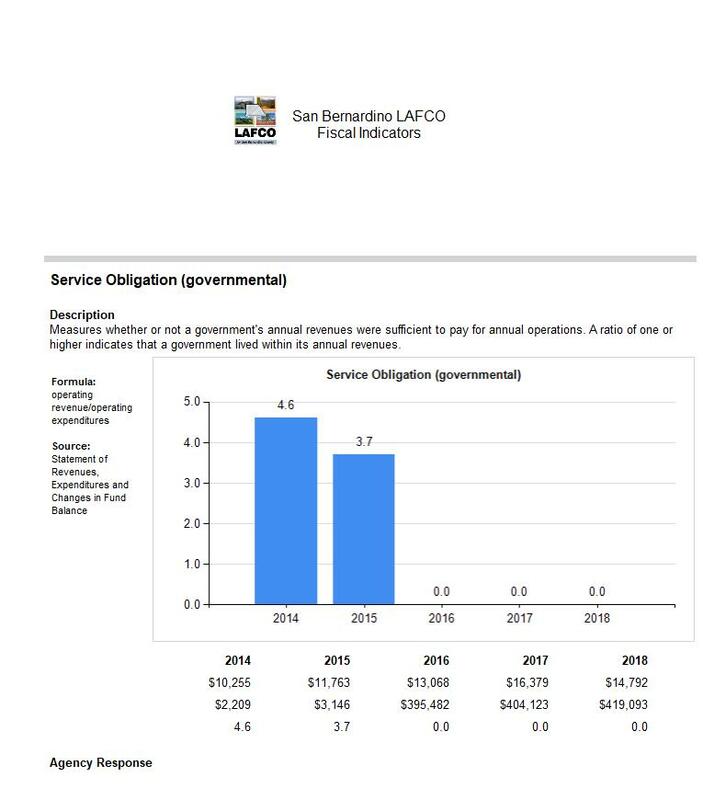 These services are funded by a special tax not to exceed $332 per parcel as approved by the voters in March 1985. The current special tax rate is $186.86. In addition, County Fire receives a General Fund allocation of $397,572 to provide fire protection services to this service zone through a contract with the Kern County Fire Department. Data for 2012 is not available as there was a change in interpretation of reporting standards which returned in 2013. Additional information on the District can be accessed via the link below.